Arithmetic is seven eleven all good children go to heaven -- or five six bundle of sticks. Arithmetic is where the answer is right and everything is nice and you can look out of the window and see the blue sky -- or the answer is wrong and you have to start all over and try again and see how it comes out this time. Arithmetic is where you have to multiply -- and you carry the multiplication table in your head and hope you won't lose it. How the Grinch Stole Christmas, Dr. Suess. That awful Grinch! Who could be so bad? So naughty and mean? Part of the delight of this classic is the Grinch's outright nastiness, and the lesson about the spirit of peace and joy at Christmastime is lovely. My favorite lines: "It came without ribbons! It came without tags! It came without packages, boxes or bags!" How the Grinch Stole Christmas is a read-aloud delight! Christmas Day in the Morning, Pearl Buck. A lovely story of a teenaged farm boy who, realizing how much his father loves him, decides to give his father a wonderful gift. He sneaks out of the house early to do the morning chores that his father does every day without complaining. A beautiful quiet story about a meaningful gift from the heart. 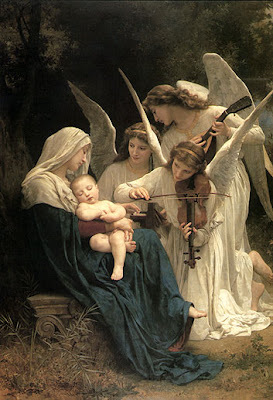 The Christmas Story According to the Gospels of Matthew and Luke, Paintings by Gennady Spirin. 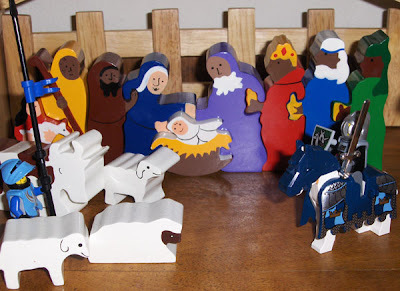 The Christmas Story tells the story of Christ's birth according to the gospels of Matthew and Luke from the King James Bible. Aside from a short introduction and afterword, the bible verses are the only text in the book, and Spirin's Renaissance-style paintings illustrate the story beautifully. It's a pleasure to read aloud, looking at the rich paintings and hearing the beautiful language. Dr. Suess' How the Grinch Stole Christmas! starring Boris Karloff. 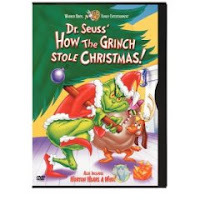 The fine young gents giggle all the way through this movie, and love to speculate as to why the Grinch is so mean. A real Christmas classic, they watch The Grinch several times each holiday season. 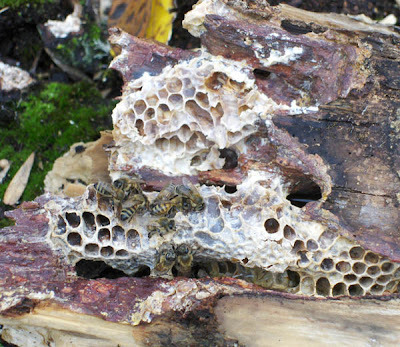 Everyone in the Poohsticks family has been bitten by the Christmas bug. The gents are counting down the days until Santa arrives and the Christmas station is on nearly all day long. 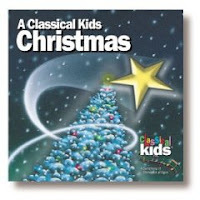 A collection of Christmas carols, many traditional favorites along with a few songs new to us, A Classical Kids Christmas is refreshing break from traditional radio fare. A lovely lady made me a jingle bell necklace when she was in third grade, and I wear it every year. It looks like a gift from a child, but it's festive and fun. People compliment my necklace when I go out, and the jingle...well, it makes my spirits bright. The fine young gents enjoy making gifts for friends and teachers, and we decided to make jingle bell necklaces. So far they've been a big hit with the recipients: Sweet neighbor girl put hers on right away, and middle gent's gymnastics teacher gave him a hug and wore hers during class. I've never made a gingerbread house before. I phoned dear neighbor and suggested we decorate gingerbread houses together. I agreed to make gingerbread (how hard can it be, right? 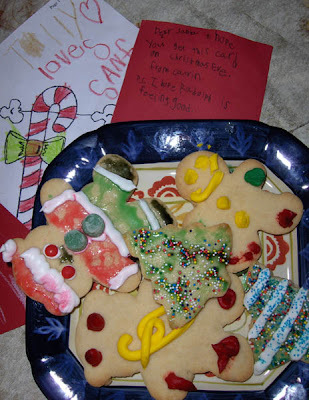 ), she said she'd bring the icing and decorations. Thank goodness for loving husband. Gingerbread for a gingerbread house isn't quite as easy as it seems, especially when you realize after suggesting a get-together that you've got errands to run and won't be able to start making the gingerbread until after the kids go to bed. We were up until midnight making gingerbread for houses, using this recipe from About.com, and it was kind of nice spending the evening in the kitchen together. It was worth all of the fuss and bother. More than worth it. The younger boys were not interested in the least. Sweet neighbor girl, wearing her jingle bell necklace, decorated a house with the help of the eldest gent; he decorated the other with hers. Creative dear neighbor brought bags of decorations, some of which actually made it onto the houses instead of into little (and big) mouths. 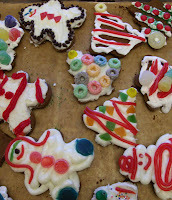 There was even enough gingerbread dough left over to make cookies, and loads of icing and decorations to brighten them. Tuesday Ten on Wednesday: That's a wrap! We use wrapping paper. Next Tuesday, our living room floor will be a virtual sea of red and green paper. But this tiny little drop in the bucket is moving slowly toward reducing the amount of paper we use during the holidays. Next year I'd like to reduce the amount of wrapping paper we use even more than I have this year, and the year after that and the year after that.....Give it four or five more years and I might even use up that giant Costco roll I bought long long ago, and we'll be paper-free. Here are some of the ways we've tried to avoid using wrapping paper, at least using as much wrapping paper, this year. 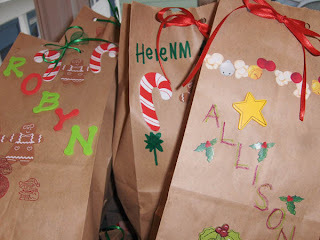 Decorate a paper bag with stamps, stickers, markers. Tie with a pretty ribbon, and voila! instant festive package. Sew cloth gift bags to reuse year after year. You can find Christmas fabrics at super-clearance prices after the holidays. (Instructions for making a simple cloth bag here.) I've made a few bags, but not many. I have fabric. I have a sewing machine. Maybe this will be the year that I finally use all of the fabric to make cloth gift bags in time for Christmas 2008. Pretty boxes, the ones on sale at craft and paper stores, make "wrapping" easy. Just open the lid, pop in the gift, replace the lid and you're finished. 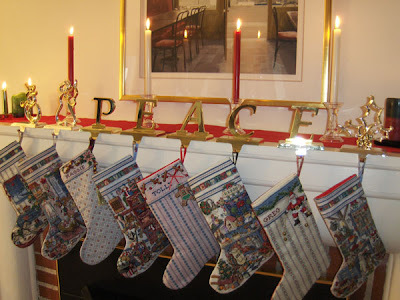 If you use them for Christmas at home, you can use them every year. 4. Use the packing paper. Yesterday, for a change of pace from red-and-green crafts, two fine young gents decorated birthday paper for their littlest brother using the paper in which his Christmas gift had been shipped. Double paper savings: Not only did we save wrapping paper, no new paper was harmed in the making of this craft. 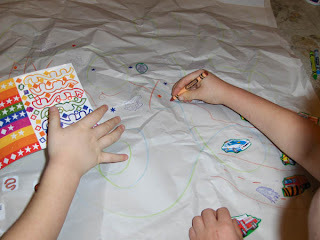 If your children love to create big art on large paper, and you have no idea what to do with all of their creations, save the projects for birthday wrapping! 5. Make a gift basket. We made lovely gift baskets for tutors. The baskets were pretty, we've got a few extra baskets stashed in the basement anyway, and the "wrapping" becomes a lovely part of the gift. 6. Reuse gift bags and paper. A fine young gent will find a Tonka dump truck under the tree. I was excited about the glow we'll see in his eyes, not so much about trying to wrap the darn thing. Wouldn't you know that at exactly the time I was pondering this dilemma, the UPS guy made his almost-daily stop and delivered a box just the same size as a Tonka dump truck. 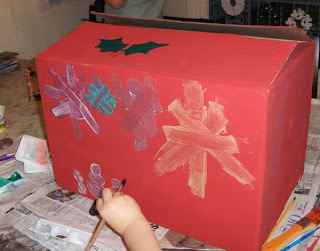 The fine young gents painted the box in bright red and green, and the dump truck fit perfectly. Another craft project in which no new boxes were harmed. The old box, however.....we'll have to save it to reuse. Loving husband and I idly pondered whether it's better to reuse a recyclable item if the item is altered in such a way that it is no longer recyclable. 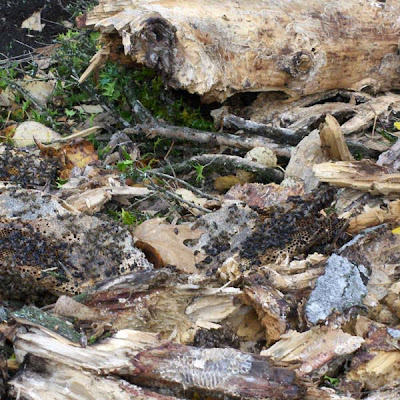 We came to the conclusion that it depends on the cost (monetary and environmental) of recycling the item compared to the cost of the new materials, wrapping paper or the like, replaced by the box. We were in the middle of making gingerbread for houses, so we didn't pursue the matter, but it was an interesting discussion nonetheless. 8. Wrap it in pretty fabric. If you've got fabric around anyway and your giftee sews or quilts, the wrapping becomes part of the gift. In second grade, the elder lovely lady's friends went through a brief period in which they wrapped birthday gifts in fabric instead of wrapping paper. Many of the fabrics made it into their Brownie projects later in the year. Stick a bow on it, tie it with some red yarn, or wind a ribbon around the gift and call it good. 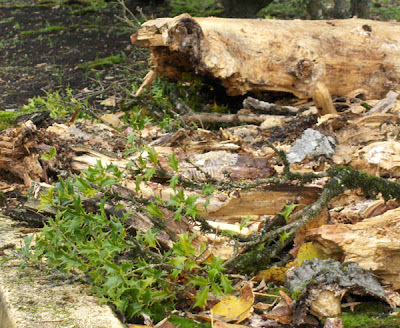 We came home with pockets full of sticks, rocks and leaves. 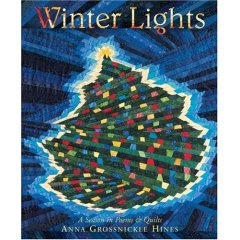 Winter Lights: A Season in Poems and Quilts, Anna Grossnickle Hines. A library find, Winter Lights is a book of lovely seasonal poems. The shining stars in this book, though, are the stunning quilts illustrating each poem. Or perhaps it's the other way around: The poems illustrate the quilts, beautiful works of art. Each winter-themed quilt is accompanied by a lilting poem. The quilts celebrate the beauty of winter and snow, Hanukkah, Christmas, Kwanzaa, the Solstice and most of all the lights that darken our winters. Just right for a leisurely winter bedtime read-aloud. Tolly fixed his face into a long-lipped solemnity that he thought suitable for water diviners, and with closed eyes he passed his fingers slowly and hesitantly over the quilt. 'What's her name?' he asked without stopping the play of his hands. His finger came down on a patch and he opened his eyes. His great-grandmother bent down to look. 'Quite right! Not her clothes, but you've hit on her bed curtains.' 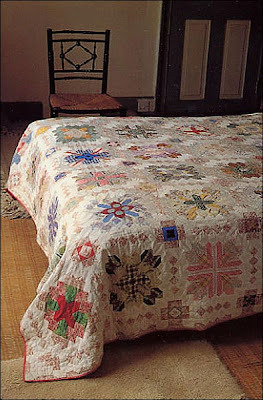 "
"When Tolly got into bed and drew his own patchwork quilt up to his chin, he noticed that a great many pieces were of the same materials that he had seen downstairs across his great-grandmother's knees. From Treasure of Green Knowe, Lucy M. Boston. Dear friend down the street called. "Come and see what we found! 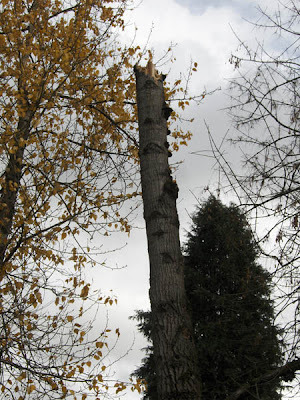 The storm blew the top off a tree! Come and see!" We spent a lovely fifteen or twenty minutes watching bees. We collected acorns on the way home and were back with time to finish our school day. There are ten goldfish in the bowl. Four goldfish are orange. How many are not orange? 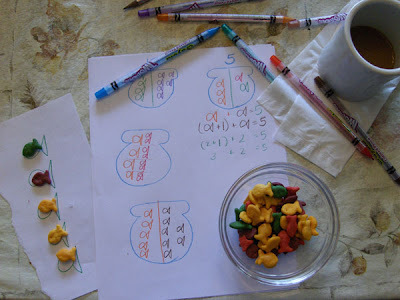 Goldfish riddles is a perfect example of activity-based learning. I didn't sit down with the gents, pass out pencils and paper and say, "Time for algebra!" I sat down with a bowl of colored goldfish and said, "Let's play a game! It's a riddle game. Let's see if we can figure out the riddles." Embedding concepts and skills into a hands-on experience allows children to experiment, to learn concepts informally, and to experience those concepts in a concrete way before they're ready for more abstract learning. In activity-based experiences, my job is not to instruct, but to guide; a little bit of teaching, a little bit of trying. How do we measure "twice as many as" anyway? First we figure out what it means, that's where the teaching part comes in because I knew what those words mean and they didn't. Then we tried putting one green goldfish in the bowl followed by two red until we got to twelve goldfish altogether. Does our answer match the rules of the riddle? I don't have to say "Yes, that's the right answer," or "Nope, that's wrong." Instead they get to decide....does it follow the rules set out in the riddle? Are there two red goldfish for every green? And do they add up to twelve altogether? Well, then, is it a match? Eat up! (Or let's try again!) As they crunched up their own fish bowls, I drew a picture of the answer for extra reinforcement and to keep myself from eating up the next riddle. 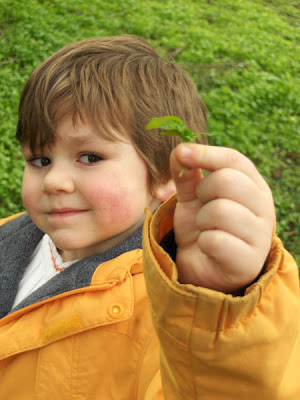 With simpler problems, first grade gent had a chance to be the guide. "That's easy. Six!" he replied to the riddle at the top. "Show your brother how you got that answer," I replied. He had to think back beyond the memorized math fact, 4 + 6 = 10, and show the way to the answer. Beautiful. First grade gent is a math lover like his daddy. I think I'd have to lock this kid in a box to keep him from learning. I got out a pencil and paper to show him the "real math" (his words) behind the riddles. I don't expect that he'll start doing algebra tomorrow, or even next year. He's just a bright but typical first grader playing around with math ideas. 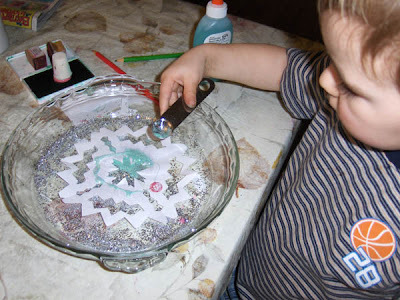 The beauty of these kinds of activities is that not only do they make learning fun and spark his interest, they lay a foundation for more formal abstract learning later. When it's really time for him to start learning to solve problems like 2x + x =12 he's already experienced this concept. He's had practice hearing the language of math and turning it into a sovable problem. He may not even remember playing goldfish math by then. But the seeds have been planted. I expect that we'll be playing goldfish riddles a few more times over the next couple weeks and revisiting it from time to time for the rest of the year. It's a game that takes practice to learn how to play, with a little more prompting and guidance initially in order to teach the task of playing in addition to finding the answers. It's a flexible game. We don't have to use goldfish. We can use m&m's or counting bears or acorns or beans. We can play anywhere, for as long as we'd like. Because it's Fun Math. The world can't stop what we start. Seeking the pathways of love and harmony. When one by one we stand up, and believe. We can be the children of peace. I will be the one to reach out my hand. I think about how precious these girls are, how lovely, how innocent. As we grow into adulthood, we become jaded by the world and the possiblity of peace seems to fade and grow dim. War, murder, bombs, guns, hatred all chip away at our belief that peace is possible. Thanks to God for these lovely young women, for their hope and belief in peace. Their hope revives my own hope. Their belief inspires my own belief. Not the naive hope that suddenly the world's leaders will begin speaking words of peace, nor the belief that the people of the world will put down their weapons tomorrow and embrace one another. But hope and belief that as long as we hold the dream of peace alive, practice peace in our daily lives, look for ways to promote peace we can make a difference. Even a small difference. It's better than giving up. Our hopes for the world, for our children: Live in peace. Speak peace. Teach peace. Make peace, make peace with one another.